For ages, we have been using warm water as a source of cooking, cleaning, and general quality of life, and the ability to bring it to our homes on demand has been a baseline function of today’s society. As the uses of water heaters grew, so did the amounts of styles and types you could get. The two most common used today are electric and natural gas, and A Better Plumber brings you the services you need for repairs and installations on both. In this section though, we will focus on your electric water heater options. When building a new home, or looking to repair or replace a current water heater, we bring you a wide selection when it comes to your electric water heater options, with the professional quality installations you need. As well, we bring you a wide array of offerings when it comes to the repairs of these items, ensuring that you always have the means to keep warm water flowing through your home with a simple phone call. We bring our service options to you at any point in the day or night, to ensure that no matter your issue, no matter the time you can rely on our plumbing company to be there for you when you need us. 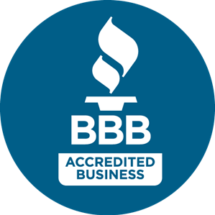 Our professional plumbers have been in the industry of water heater repairs for many years, and bring you an unrivaled level of experience and expertise for all manner of repairs and installations. Whether you’re using standard upright tanks, or tankless options, you can rest easy knowing that we have you covered. When your water tank is presenting issues to you or your home, we want to bring you the peace of mind that comes with knowing that the assistance you require is only a call away. We are available for your repair and installation needs at any point, and have friendly professionals waiting on the line for your call now. Take your water heating control into your own hands with a service that makes itself readily available to you.